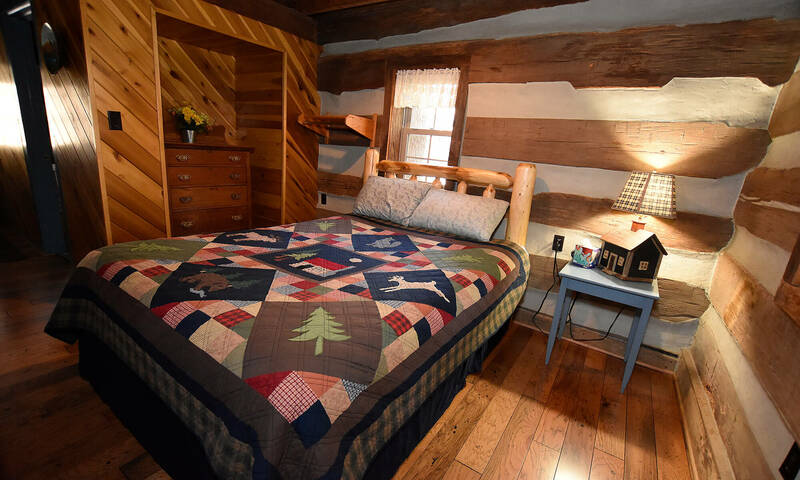 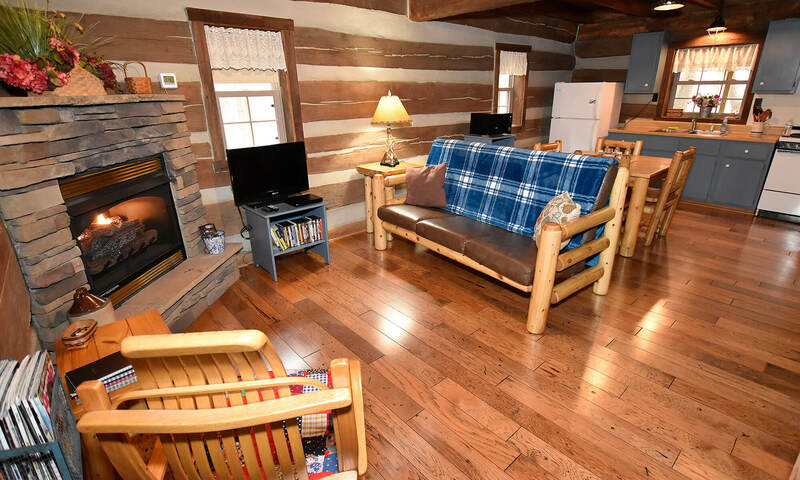 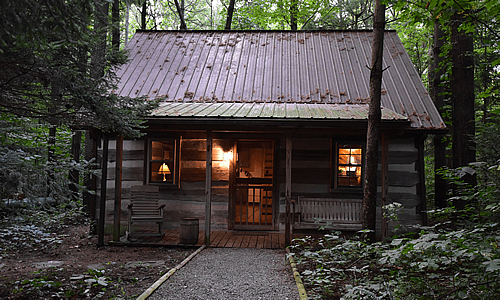 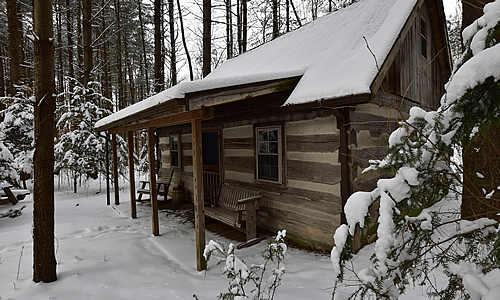 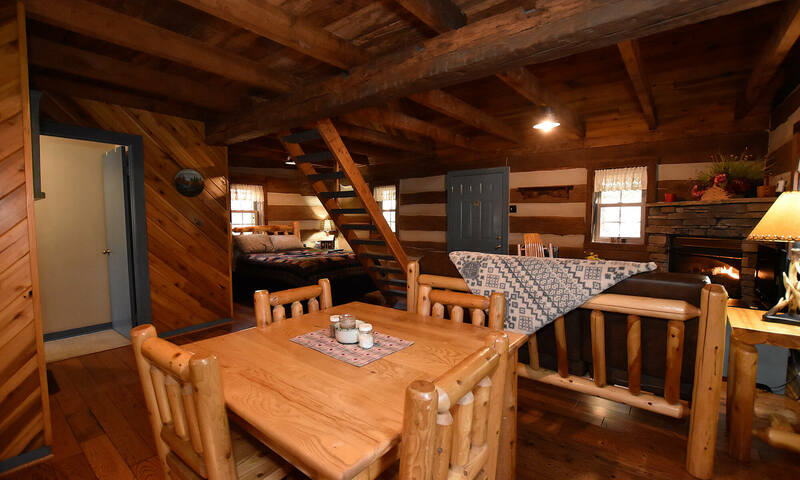 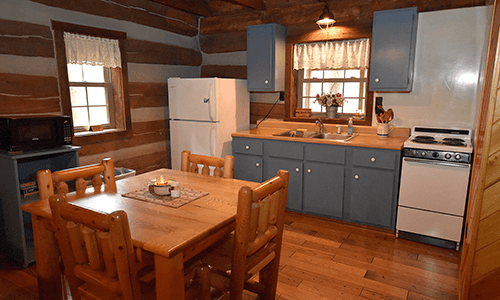 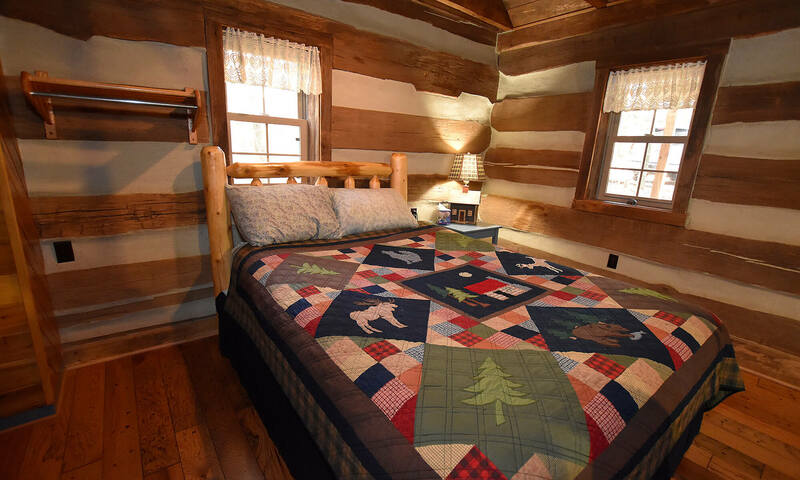 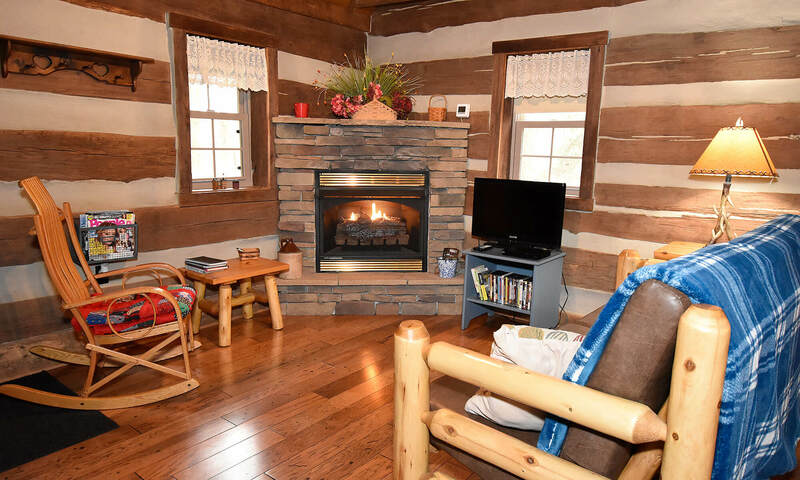 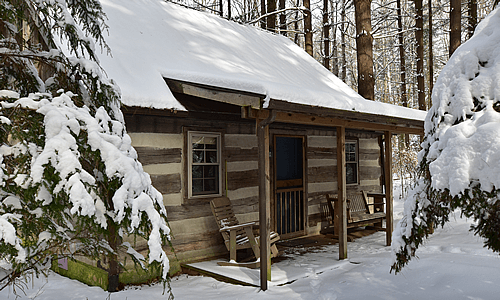 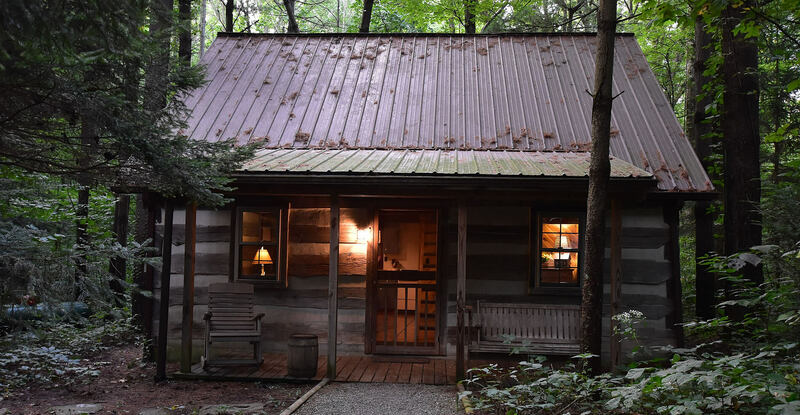 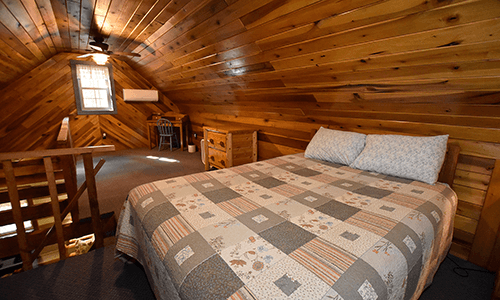 Swaddled in the majestic pine forest of the Hocking Hills, our Blue Log Cabin is a great place to make memories with your family. 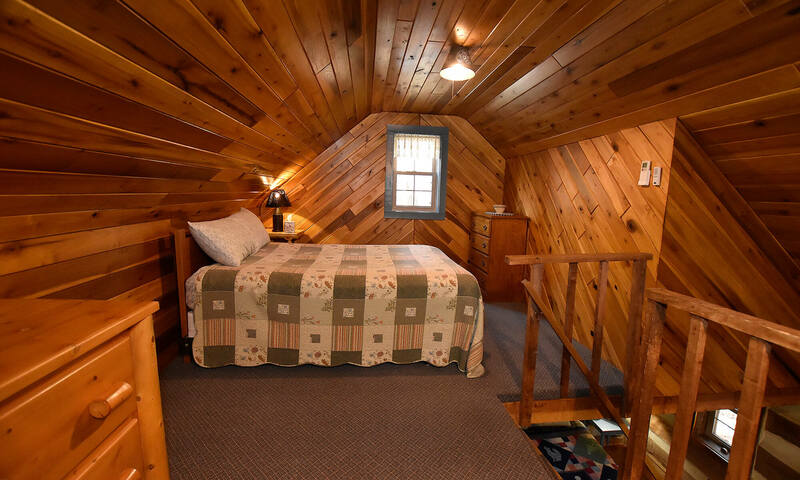 This spacious cabin sleeps 4, and ensures privacy by offering a queen-sized bed on the main floor and one in the loft. The main floor is also the location for the living room, bath, dining area and fully-equipped kitchen. 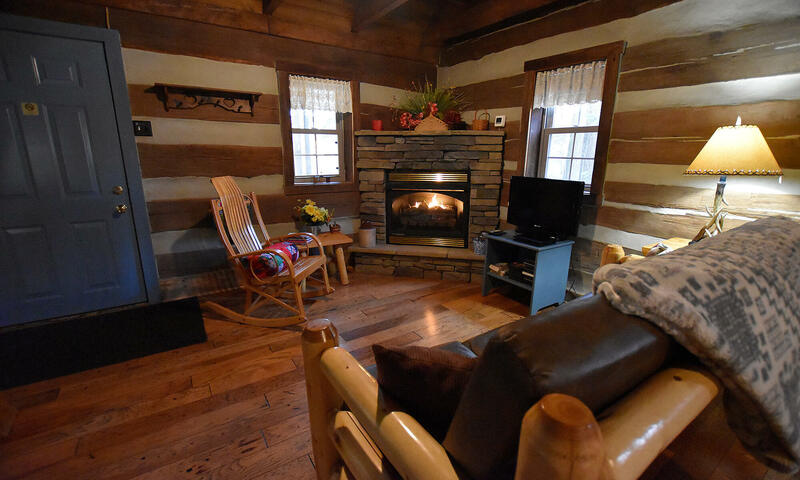 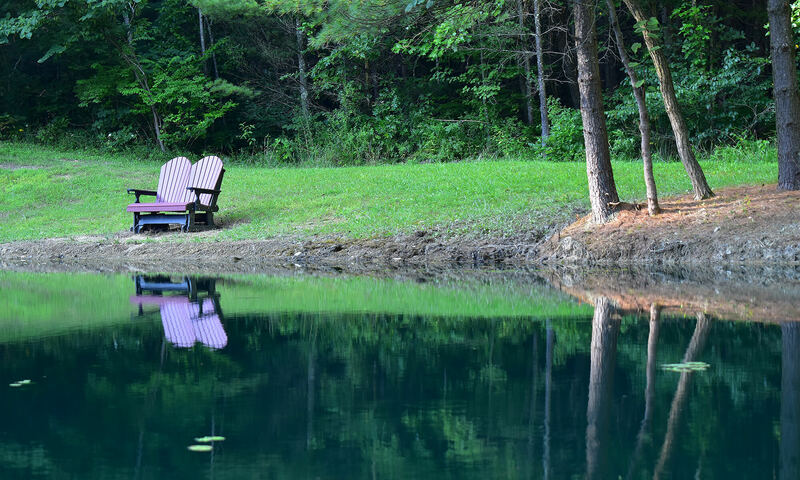 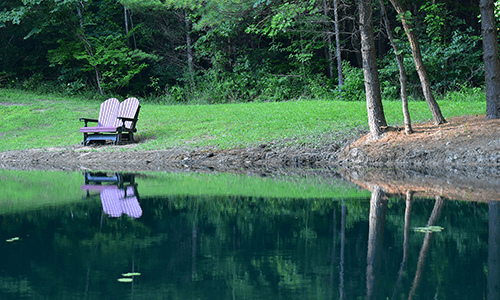 Greet the morning while rocking on the front porch with your favorite warm beverage. 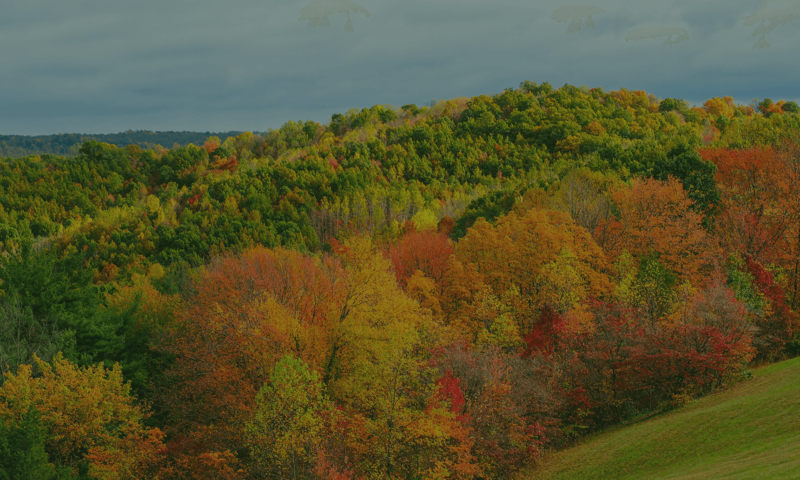 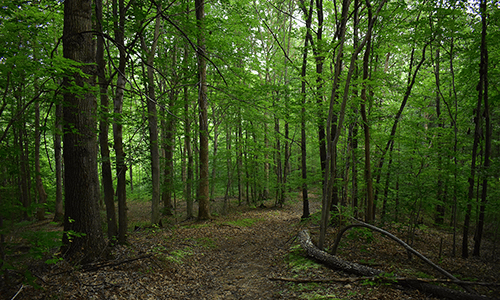 Lull away the day together visiting the largest recess cave in Ohio at Ash Cave and hiking at Conkle’s Hollow State National Preserve, considered to be one of the best hikes in Ohio. 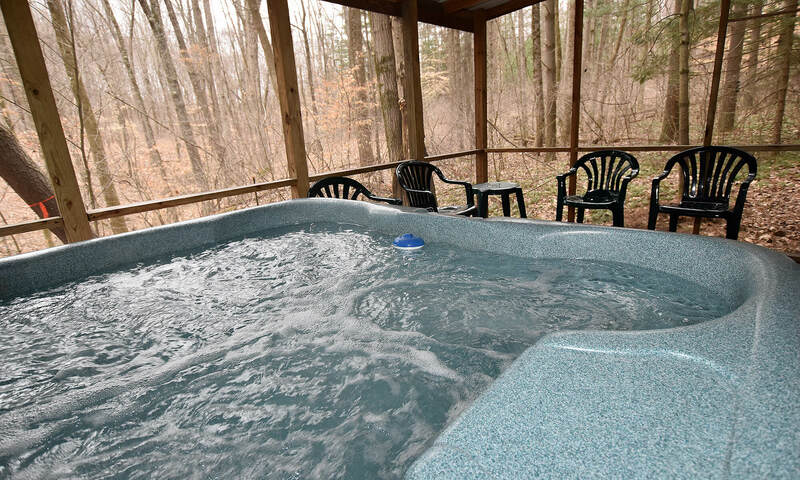 Then, relax together at the end of the day in your private hot tub while star gazing.